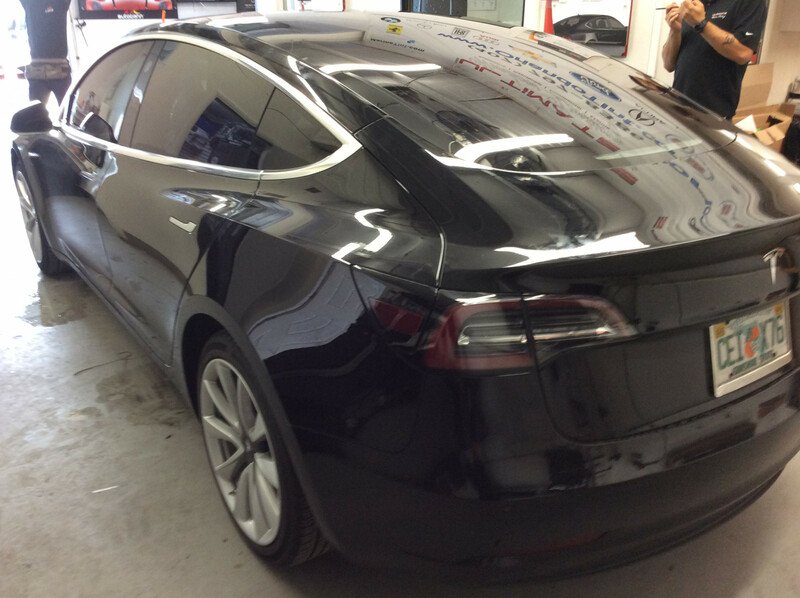 This black Tesla Model 3 had Formula One Llumar Pinnacle Ceramic Window Tint applied to all the side windows as well as the large back window. Below are both before pictures without tint as well as after pictures with the Ceramic Tint applied by Ultimate Window Tinting in Orlando. 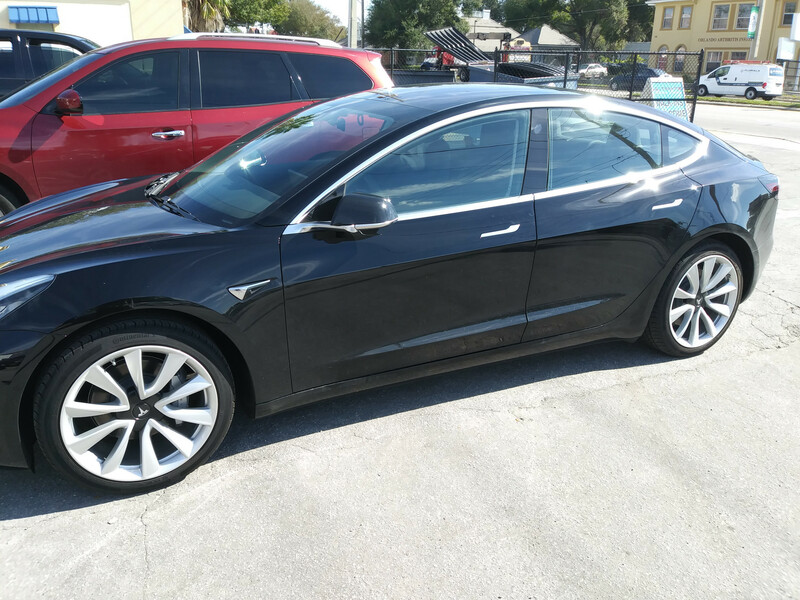 Pinnacle Ceramic Tint is available in all shades; as dark or light as you’d like for your Tesla Model 3. 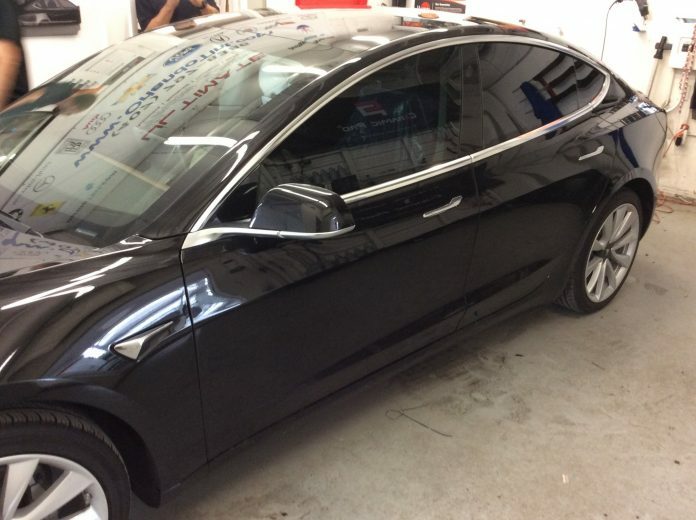 Included with all Tesla Model 3 window tint is a Lifetime Warranty which covers all parts of the tint including the widow tint itself and the label for installation. In addition to Tesla Model 3 window tint, we also provide clear bra paint protection in Orlando for Tesla Model 3 as well as chrome delete and full color change vinyl wraps. We are open 7 days a week. 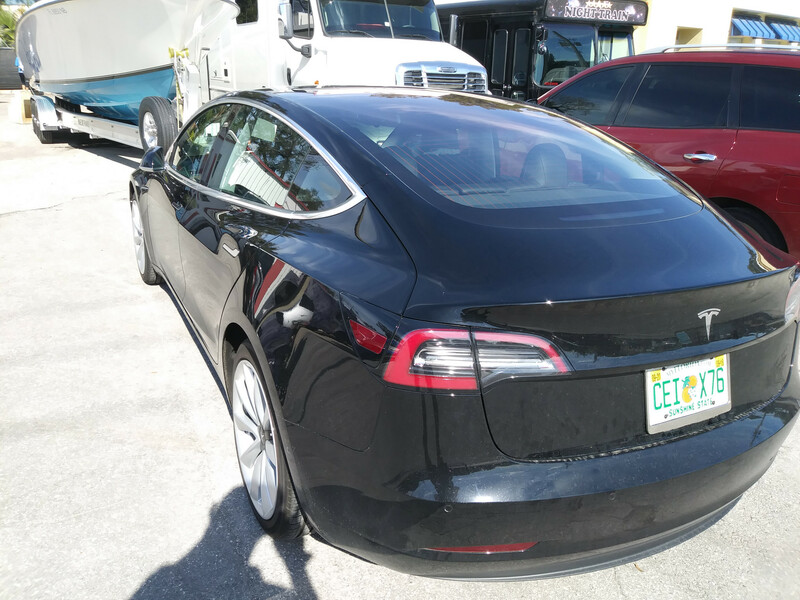 With any questions or to schedule your Tesla Model 3 for window tint in Orlando, call us at 407-797-8386.